Two weeks ago 2K Sports made the downloadable content for NBA 2K12 official and today they have announced an additional 45 legends that will be included. These legends will only be available within the “Legends Showcase” – so they will not be transferable to regular Play Now, Association, or any other mode within the game. 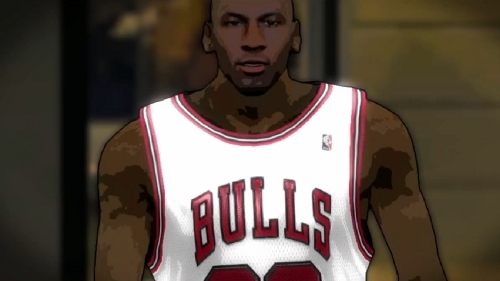 The 45 new legends will be in addition to over 160 others already found in 2K12 that can be used in “Legends Showcase”. The press release confirms the $10 price remains – for those who hoped 2K would reduce it or offer it free due to all of the problems with NBA 2K12 thus far that has not happened and remains unlikely. The holiday season is still stated as the release time frame and indications are that could end up being early-mid December but could even potentially slip into January depending on how things play out going forward. Based on recent statements it appears 2K wants to get a comprehensive patch out first before asking consumers to invest even more in the product. The “Legends Showcase” includes various challenges such as 1-on-1, 21, and HORSE in the new Times Square setting with a cel-shaded art style as well as the ability to use historic teams in online play (though limited to only playing opponents who also purchased the DLC). Does the addition of these legends to the DLC make the $10 price more reasonable/make the total package more appealing? Wish he was on there, him & Dr. J = Unstoppable! !